Finding a good and easy to install VPN service for Kodi can be difficult, even more so when you’re looking for one that is compatible with your Amazon Firestick or Fire TV. In this guide we’re taking a look at the Best VPN for Kodi on a Firestick which will not only allow you to access more content but will also protect your privacy in the process. One of the biggest issues with using a VPN for Kodi on a Firestick is the fact that most are incredibly time-consuming to set-up and install. If you aren’t a techie or have other experience of tinkering around with computers and devices you may find the set-up process too complicated. The great news is some VPN providers have started to release dedicated VPN apps for the Firestick and Fire TV and they work fine with Kodi, so let’s take a look. 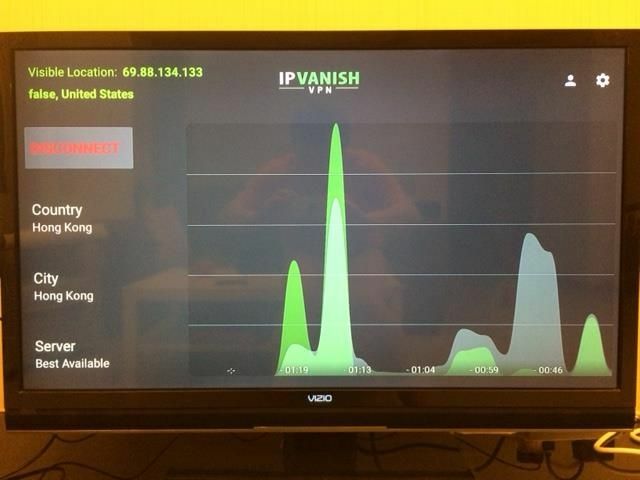 IPVanish is without a doubt our number 1 choice when it come to using a VPN for Kodi on a Firestick or Fire TV. They recently released a dedicated VPN app for the Amazon device and they’ve become one of the only providers to do so. All you need to do to use it is firstly sign up for a VPN account from IPVanish. Once you’ve created your account you can visit the Amazon app store on your Firestick or Fire TV and search for “IPVanish“. You’ll find the option “IPVanish VPN” simply press “Get” or “Get App” to install it. Once the app is installed you can launch it via the normal Firestick or Fire TV interface. You should then login when required. You can now select a server location to connect to. If you’re in the UK and you want to access blocked content or blocked plugins then you can try connect to the Netherlands, Sweden or Switzerland which should all give you good speeds. If you’re somewhere else in the world then you can also connect to nearby locations to bypass any blocks or restrictions in your country. Once you’ve connected you can simply launch Kodi and you’ll be able to access blocked plugins and region restricted Kodi streams. There are a few alternative VPN providers that are easier than the others but they’re still more difficult than IPVanish above. Two other providers that are good that you may want to try are VyprVPN and PrivateInternetAccess. You’ll need to install a downloader for the Amazon Firestick. First you need to enable Apps from unknown sources in Developer Options. Then you should search for a downloader on the app store such as ES File Explorer. You can then use the downloader to download the Android .apk file for VyprVPN or PrivateInternetAccess using the direct URL. After this you should be able to install. They’re both great VPN providers and they work well with the Firestick and Fire TV it’s just the process is so much more complicated than it needs to be. Our recommendation is to stick with IPVanish, they offer a fast service that will protect your privacy and they’re able to be installed with just one click.